The most important decision a company or organization ever makes is arguably its investment in human capital. Well-placed leaders challenge the status quo, inspire their people to maximize their potential and shoot for the stars with upward growth strategies. One of my Fortune 500 clients surprised me by stating the following one day. “Steve, you know I give you a lot of credit for the over 100 Million Dollars of extra sales revenues that my company has been able to generate. The three leaders that you recommended that I hire have been awesome. We could not have achieved these results without them. I thank you again for your great work in identifying and recommending them to me for hiring.” Wow, that’s cool. On the opposite side of the equation, poorly hired managers can drag an organization down to the dungeons of ruin. Since resources spent on talent recruitment is significant, and the results of hiring well are monumental, learning and applying the most effective search model is well worth the time and effort. The first challenge is to understand what search model we are talking about? The two primary models are executive search (retained) and contingent recruiters. Executive search consulting firms operate on an exclusive, client-centred basis and work on a limited number of assignments at one time. Executive search firms often find candidates with diverse backgrounds and have access to candidates who are not actively seeking a new position. They are engaged in all aspects of the process, from defining the search through candidate integration. They charge a consulting fee (retainer) for the assignment, consistent with their in-depth advisory work. 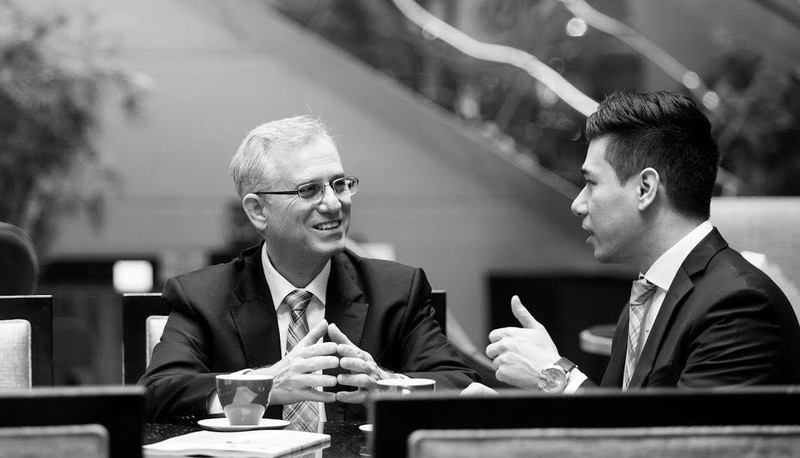 Executive search consultants deliver high-quality service, a slate of highly qualified candidates, and develop long-term relationships built on trust. Contingent recruiters seek to place as many candidates as possible in the shortest possible time. They tend to work with many assignments concurrently. If a particular assignment is not getting traction, contingency recruiters have little incentive to continue. Contingent recruiters offer their service with no money up front, and they get paid for candidates who are hired from resumes they present. Fees are generally lower, reflecting their limited scope of work. Contingent recruiters deliver broad access to “ready to move candidates” and a quick presentation of a large number of resumes. While some human resource managers believe that both models are the same, they clearly are not. Some clients try to negotiate the lower fees of the contingent recruiters but desire the full complete and thorough search service of the executive search (retained) firms. At the same time, they show no loyalty by trying to do these same types of deals with multiple search firms all at the same time. This is a recipe for disaster and clients like this are avoided like the plague. It is important to understand that investing in human capital is important thus organizations should employ best practices. An executive search consultant (retained search consultant) invests time and resources in understanding their client’s industry and individual needs. In comparison, contingency recruiters focus on pulling as many resumes out of their databases as they can as fast as they can. Executive search consultants use competency-based interviewing practices and advanced assessment tools in the identification of talent which best matches the business culture and needs of the client’s position. Multiple interviews with candidates over time and various technologies such as telephone, video conference and face-to-face whenever possible are standard operational procedures. Also, pure search methods seeking the best talent, even those who are not in anyone’s database is routine and required to find the best talent. This is in direct contrast to the contingent recruiters who rely more on supplying resumes from their database as quickly as possible. Too often it is a matter of quality versus speed. In contrast, contingent recruiters do not have the time and rarely do they interview candidate’s multiple times to assess their capabilities or do any type of formal assessments. They are all about database search and speed of getting resumes into the hands of the hiring manager. In summary, here are 10 reasons why Retained Search is the Most Effective Recruiting Method. Executive search consultant (retained search professionals work with their clients on an exclusive basis). They are dedicated to following best practices and doing the job right. They work very closely with the client by developing a methodology, action steps, and timing that is realistic and that matches with the needs of the client. They are truly management consultants; you’re not alone. Remember that contingent recruiters are in a race to provide resumes as quickly as they can. It’s your job alone to evaluate the resumes and assess if they fit your position and company. The goal of the executive search consultant is to present four to five high-quality candidates with the skills, fit, salary, etc. desired by you, the client. Intelligence is provided through exhaustive research on the industry, competitors and ideal candidates. Candidates are screened and assessed using modern assessment tools and are pre-qualified to fit the position and your company culture. Cost wise, executive search (retained search) fees range from 25% to 35%, and contingency recruiters try to charge the same amount but provide you with much less. The contingency recruiters model is a No Win No Pay basis. So, their dedication based upon their actions is very limited. They are not set-up to provide the same level of professional services as a retained search model provides. With a retained search consultant, you will receive full briefings on the search process, competitors, the market, and the talent pool. In conclusion, for best practices and most effective executive search service the retained search model for middle to senior level positions is the choice of champions.